Posted December 10, 2012. Looks like doctors are becoming more aware of Lyme disease and Lyme symptoms in Pennsylvania. Yeah! If you suspect you might have lyme disease or you have any lyme symptoms, please get treated right away! Better to err on the side of treatment than risk a potentially chronic, difficult to treat disease. Doctors catching on in Pennsylvania! 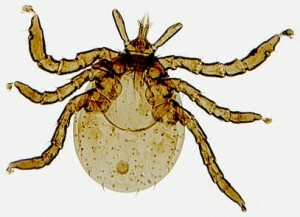 PITTSBURGH — Doctors are saying don’t wait – treat – because sometimes it can take a while to get diagnosed with Lyme disease. “So, we do see a number of cases that are delayed in diagnosis because the initial rash is missed or the symptoms are misinterpreted,” says Dr. Andrew Nowalk, an infectious diseases specialist at Children’s Hospital of Pittsburgh. Turns out, Lyme infection is becoming more common in our area, with cases surging in the past five years. “From 10 or 15 kids a year that we see here to almost 150 children last year,” says Dr. Nowalk. For that reason, infectious diseases doctors at Children’s Hospital are recommending antibiotics right away for people bitten by a deer tick. “Things have changed and I think the recommendation needed to change too,” he adds. Christine McCullough had Lyme disease last year. She was treated within 12 hours of finding the tick and credits her doctor for quickly recognizing the rash. Dr. Nowalk adds according to state testing, 70 percent of the deer ticks in a local county are carrying the bacteria that cause Lyme disease. From CBS Pittsburgh. So glad they are paying attention to Lyme and Lyme symptoms!! If you have been bitten or have lyme symptoms, have your doctor read this article. To your good health!